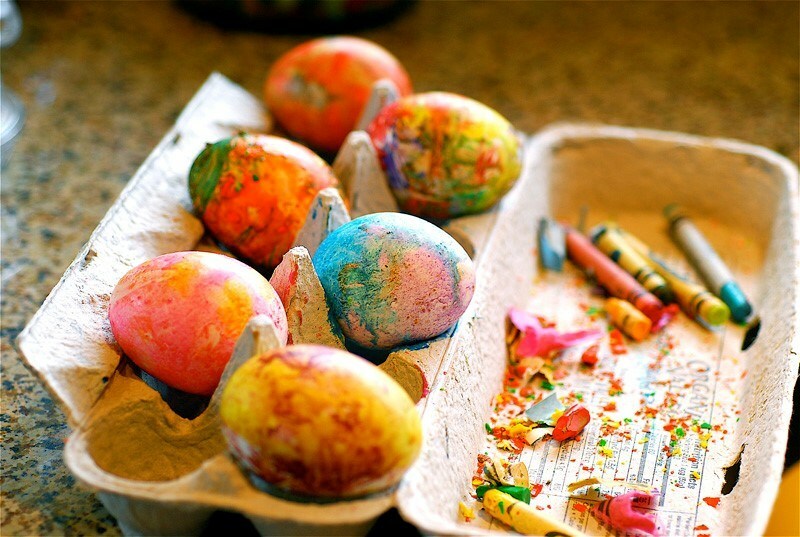 Dyeing Easter eggs is usually one of the highlights of the Easter season. It is a fun family activity that allows your inner artist to spring forth! Even though the origins of the tradition are all but forgotten, we still enjoy creating these brightly coloured eggs. So, once you’ve purchased your eggs from Sudon at the Saturday Fresh Market, you’re ready to begin! Here are some great ways to decorate your Easter eggs that are guaranteed to impress. What you’ll need: eggs, an oven, wax crayons, lacquer. Kids will definitely need adult assistance for this one! Hard boil as many eggs as you would like to decorate, then pop the eggs into a 180°C oven for about ten minutes. Use tongs to place the hot eggs into an empty egg carton (this stops them rolling around all over the place). Then rub the wax crayons all over the eggs and watch them melt into cool patterns! 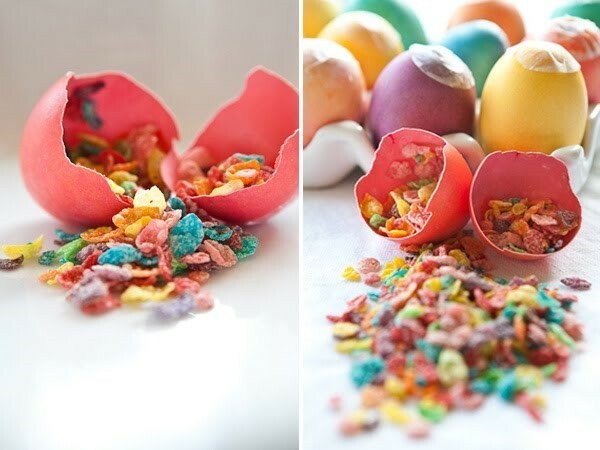 You can even try scattering some crayon shavings over the eggs to add texture. Once you’re happy with your funky designs, coat the eggs with some lacquer to maintain that “just melted” look, and to prevent the colours transferring. Voila! You’ve made crazy crayon eggs. What you’ll need: eggs, egg dye, filler of choice, tissue paper and glue. These Party Favour eggs add a fun twist to any Easter get-together. Crack an egg and see what surprise comes out! Use a sewing pin to poke a small hole in the top of the eggs, and then open up a larger hole in the bottom of the eggs. Drain the inside of the egg out (perhaps make some scrambled eggs as a snack while you work?) and thoroughly rinse the interior of the egg. Mum or Dad can even swish some bleach solution around the eggshell to avoid icky odours. Once the eggshells are completely dry, it’s time to dye them! Mix ½ cup hot water, 1 teaspoon of vinegar and 10-20 drops of food colouring in a cup to achieve the desired colours. 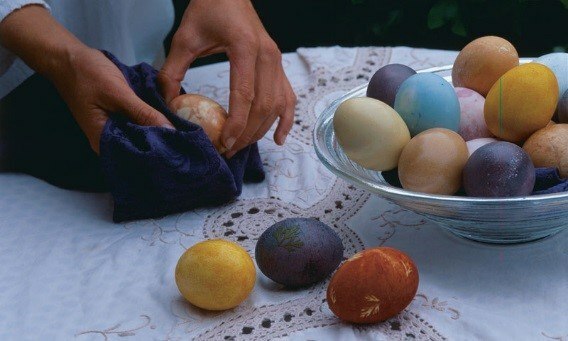 Submerge the eggs in the dye for five minutes, then remove and set aside to dry. Now the very fun part! Fill the eggshells with glitter, confetti, sweets or whatever you’d like. If you’re having trouble getting the filling into the shell you can use a funnel. To seal the egg, cut a piece of tissue paper into a circle slightly larger than the hole and glue into place. There you have it! You’ve made Party Favour Eggs that will be a hit at any Easter party. This method is part science experiement, part craft activity. Blogger Kirsten Whatley from VegetableGardener.com. wanted to find a way to dye Easter eggs using only what is found in nature. This is a great activity for kids that works best with white eggs – they can pick what they would like to use as dye at the Markets and then head home to get to work! Start with fresh, clean eggs in a stainless steel saucepan. Add whatever you choose as your dye (check the table below for inspiration) and cover with water and a teaspoon of vinegar. Bring the contents of the saucepan to a boil, then reduce to a simmer for fifteen minutes. To really intensify the colour of the dyes, leave the eggs in the dye mixture overnight in the fridge. Afterwards, let the eggs air-dry and then hide them for the Easter Egg Hunt! •	For fresh flowers, vegetables, and berries use two cups of material per litre of water. •	For dried flowers, leaves or tea use two tablespoons per cup of water. •	For ground spices use two teaspoons per cup of water. The Sunday Discovery Market will be open on Easter Sunday for a very special Market day. We will have loads of children’s entertainment, all the stalls you know and love and even a visit from the Easter Bunny between 9am and 10am! RSVP to our Market HERE. Disclaimer: if your hard-boiled Easter eggs have been kept at room temperature for more than two hours, DO NOT EAT THEM. Keep food safety in mind and have a wonderful Easter!